Take a look around the kitchen and dining table to find meaning on Thanksgiving. ON this Thanksgiving, Washingtonians should consider the bounty they enjoy just by virtue of living here. This region has plenty to give thanks for, starting with those fully equipped kitchens where Thanksgiving meals come to life. Americans debate whether to roast or deep-fry turkey while a subset scours the Internet for gluten-free-stuffing recipes. Picky eaters are perhaps a sign of just how fortunate most Americans are — unlike the 3 billion people worldwide who can only wonder what it is like to have a proper oven. Imagine preparing a turkey with just firewood and flames. The World Health Organizationestimates that 4 million people die each year from smoke released by open-flame stoves. The Northwest is home to some solutions. A group of University of Washington engineers is in the third year of a $900,000 grant to design clean stoves for East Africa. These engineers and partners, including Vashon-based Burn Design Lab, are working on a prototype that could go into mass production next year. Eugene, Ore.,-based nonprofit StoveTeam Internationalworks with Latin American entrepreneurs to manufacture safe cookstoves. Those efforts, and many others, aim to provide millions of people across the globe the simple joy of safely cooking at home. After glancing at the spread on your table, remember most of the ingredients that make their way onto Thanksgiving plates are produced in this state. The bird that graces the center of the table. The wheat used in dinner rolls. The potatoes for mashing. The greens for a nod to something healthy. The pumpkin, apple or cherry filling for pies. The beer for watching football. The dessert wine for winding down. As Seattle Times food writer Bethany Jean Clementpresented in a series on Pacific Northwest cuisine, the variety of produce and meats grown in this region also inspires visionary chefs who give those native foods a sophisticated identity. Washington farms and ranches feed people across the country and the world, thanks to our ports and trade industries that provide thousands of jobs. 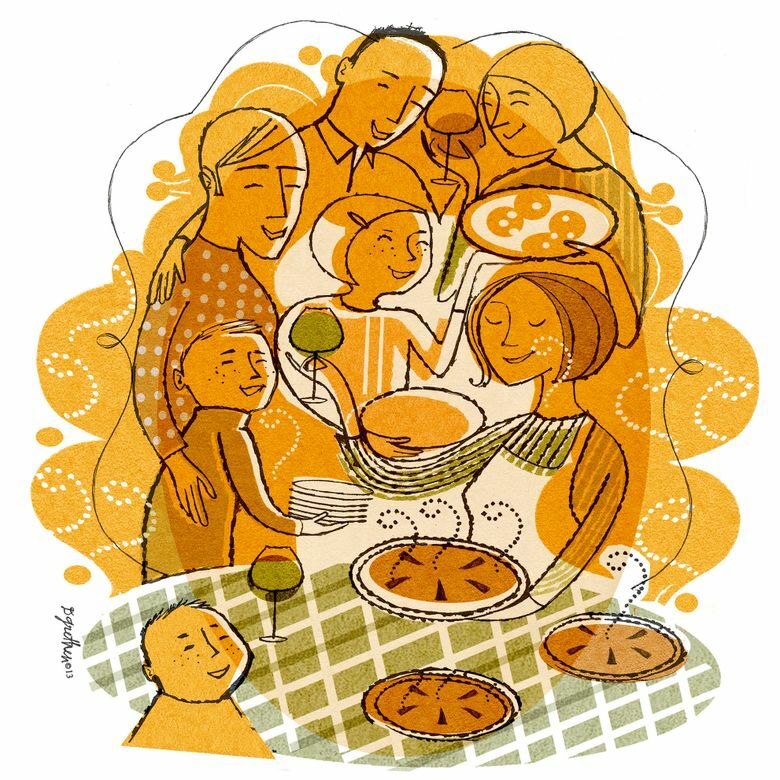 The people who surround the table give the most meaning to Thanksgiving, a holiday that celebrates disparate groups of people coming together to share sustenance. The concept originated in 1621 when the native Wampanoag people of Massachusetts reached out to strangers, recent European arrivals, who were struggling to adapt to a new land. The United States has changed dramatically since that time, but the spirit of setting aside differences — if perhaps only briefly — reflecting on nature’s bounty, and expressing gratitude for blessings and for each other are an abiding national tradition.